This statistic displays the number of retail chains by sector in Serbia in the year 2018. 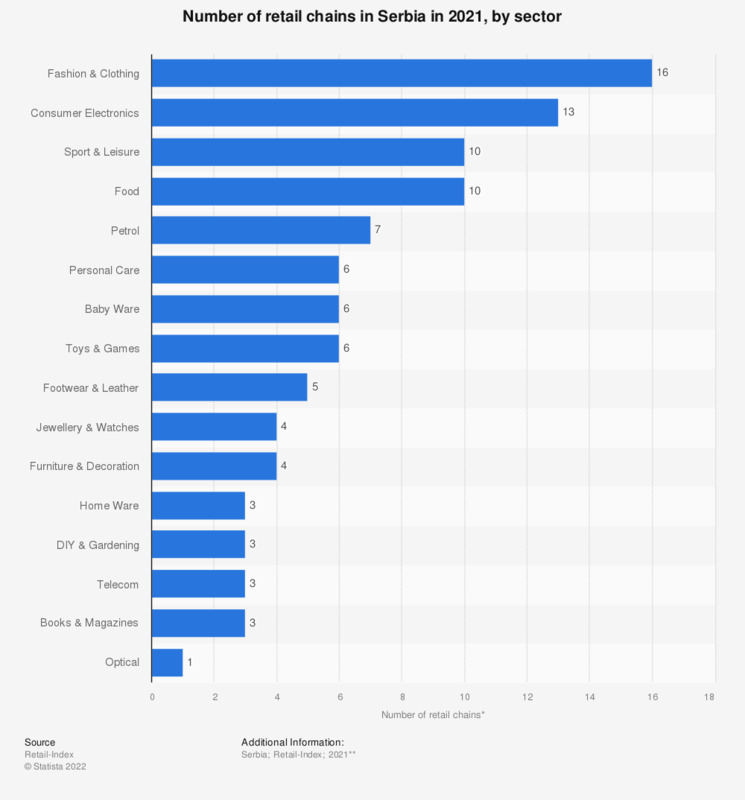 Fashion and clothing was the leading sector, with 24 chains out of the total of 90, followed by consumer electronics, with 12 retail chains. That year, there were no registered retail chains for car parts and accessories in Serbia.